The kind people of Go Max Go Foods have sent me these awesome Vegan Ricemilk Chocolate Candybars. I received three sets of bars. One set for myself and two sets to giveaway. 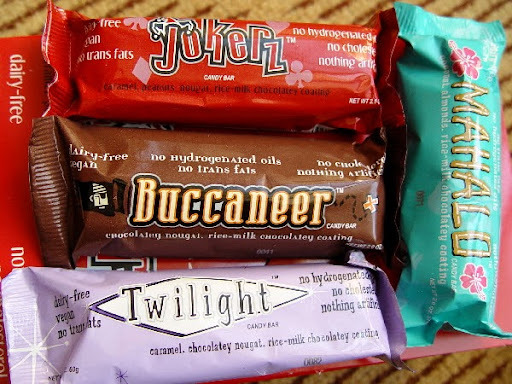 Two winners will be picked and each one will receive four bars - one each of Mahalo, Buccaneer, Jokerz and Twilight. Among the four, Buccaneer has got to be my most favorite Go Max Go bar! It's a thick layer of delicious chocolate with a really decadent nougat filling. Mmm mmm mmm. The best part is that it has just the right level of sweetness so you can eat multiple bars and enjoy every single bite. Honestly, it's scary how quickly one can go through one bar after another of Buccaneer without even thinking about it! Arrrr. The Jokerz bar has been designed with the peanut connoisseur in mind. It is full of rich peanutty delight mixed in with chocolate and caramel. The flavor and texture of the peanuts meld well with the chocolate taste in a perfect balance. And it doesn't have that overpowering saltiness that the peanut-chocolate combination often does! This is quite a filling treat. Perfect for when you're hit by those mid-morning munchies! Or the late afternoon munches. Or the midnight munchies... you get the idea. And now we come to the Twilight bar. 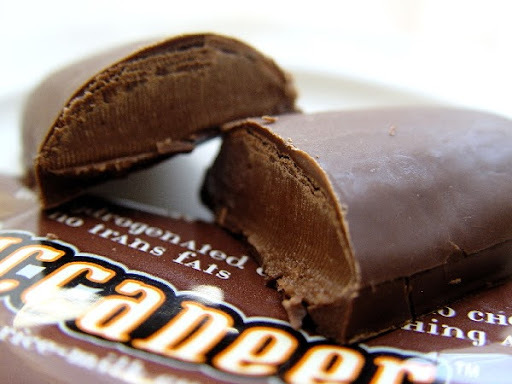 This little guy is basically the same as Buccaneer except that, apart from the fluffy nougat and creamy chocolate, it also has a super-thick layer of caramel in between. I'm not normally into caramel but Twilight is definitely an exception for me. It reminds me of the 5 Star bars that we used to enjoy while growing up but like a zillion times better! I think it's that ricemilk chocolate which makes a world of difference here. For people who can't resist the marriage of caramel and chocolate, this bar will be pure heaven for you! Finally, we have the Mahalo bar! 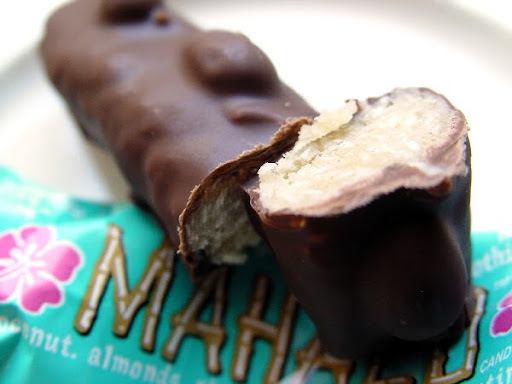 *Hawaiian music* Mahalo is a Hawaiian word for gratitude and when a coconut lover bites into this bar, gratitude is exactly what they'll be feeling! This delectable goody is made primarily of coconut with a thin layer of chocolate and roasted almonds for added taste. So if you're not that into coconuts then move on please, nothing here for you to see. To those of us from India, Mahalo would taste pretty much like Coconut Barfi dipped in a delicious chocolatey coating. Tempted yet? :D A word of warning though, this bar is a tad higher on the sweetness compared to the rest of them so only if you have a real strong sweet tooth are you totally ready for Mahalo! There are various ways to participate (listed below) and each thing you do counts as an entry. The first one is mandatory but the rest of them are completely up to you! But make sure you leave a separate comment for every entry. 1. Tell us which Go Max Go candybar is closest to your heart (or if you haven't tasted them which one do you imagine you would like most). And more importantly, what flavor/style of chocolate candybar would you like Go Max Go Foods to create in the future? 2. Follow Go Max Go Foods on Twitter. 3. Follow Veganosaurus and/or Art by Susmitha on Twitter. 5. 'Like' Veganosaurus and/or Art by Susmitha on Facebook. 6. Write on your blog about this giveaway with a link to this blog post. 7. Post about this giveaway on facebook with a link to this blog post. 8. Tweet to @veganosaurus about this giveaway with a link to this blog post. (This can be done as many times as you like throughout the giveaway and each time will be considered as an additional entry. Just make sure you come back and post a comment here every time you tweet). Just remember, leave a separate comment here for every entry. Also, leave your e-mail id or etsy id in your first comment for me to be able to contact you in case you win. This giveaway will be open until Wednesday, 15th September 2010 (exactly two weeks from today). After that, TWO winners will be chosen with the help of a random number generator. I will post the results here on my blog. Winners, I'll contact you by means of the contact details you have left me here, get your snail mail addresses and mail each of you one set of four candybars. (If you're in India, I'll carry the bars back home to Bangalore with me and post them to you in October). It's really too bad that all these bars contain "Soy" - I'm allergic...(I checked on the company's website) because they absolutely sound DIVINE!!! I wish everybody good luck, and I hope that one day, this company will make soy-free bars. I am a Mahalo panda. bring on the coconut! I would like to most see a chocolate and mint type bar, perhaps in pattie form, but perhaps not. You can find me at Panda With Cookie! Hawaiian, of course. Its all about the coconut. 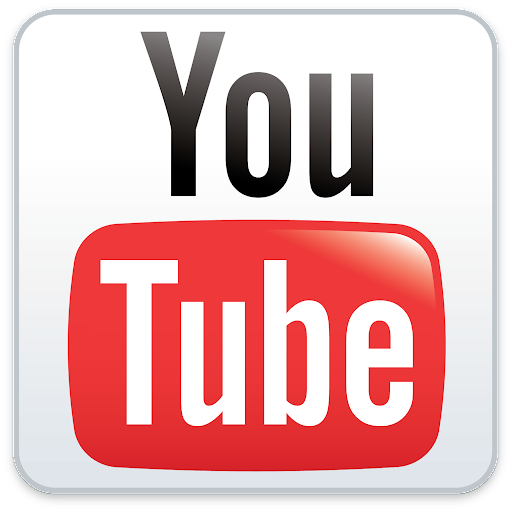 I'm posting the link. Panda With Cookie follows you on twitter. Panda With Cookie likes you on FB, which is where I found out about this giveaway. But you never know, they might come out with Soy Free bars in the future as you hope. I love Go Max Bars! Jokerz is my favorite. I would love for them to come out with a skor or twix type bar. Thanks for running this give away! Lisa, oh yeah, mint-chocolate! Yum! Amith, remember to leave separate comments for each thing you do man (like that facebook post). That way every comment is counted as an entry. I already follow you on twitter :) That's how I found out about this giveaway. I am now following Go Max on twitter! 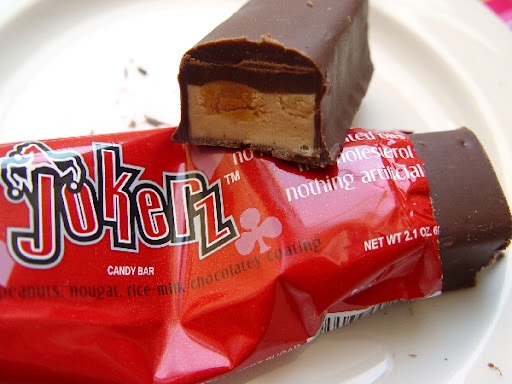 I'm insanely addicted to Jokerz - salty peanuts and caramel and really thick chocolate...Mmmmm. I saw a review of the Jokerz bar on candyblog and ever since have wanted to try it! I think I am with you on the Bucaneer. Bring on the nougat! I follow Go Max Go in twitter. I follow veganosaurus on twitter. I am a Jokerz kind of girl. Peanuts and chocolate. Yum! Following go max on twitter. I've never tried these.. But I really wanna!!! They sound amazing!! Oooh. I've never experienced the Go Max Bar but I want to. I want to. Oooh boy oh boy. Mahalo, will be my fave, wait no, jokerz no i dunno yet. I am following you! The Twilight Bar! It has got me practically licking the screen. How about a chocolate/peppermint bar? I'd definitely go for that! I like the sound of the Hawaiian ones - they sound unique! I love coconut with chocolate. yum. They should make an imitation 3 musketeers bar! I follow you on Facebook Tazim D.
They all sound yummy! But I'd have to say the Twilight one sound the best to me. I'd love to see butterscotch in these candy bars! Here u are on my blog! You're on my FB wall! Jokerz is the yummiest! :) I would love to see Go Max Go make a vegan version of a KitKat or Twix. :) Thanks for the giveaway! I posted on FB about the giveaway and linked to this blog post. I am a big-time chocoholic but have never tried a vegan candy bar. The twilight one looks like it would be my favorite but i would love for them to come up with maybe a nutella flavored one! Or maybe peanut butter and chocolate!! 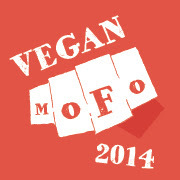 I love vegansaurus and am a big fan of her blog! Read it daily. Pick me...no...seriously...over here....pick me!! Haha. 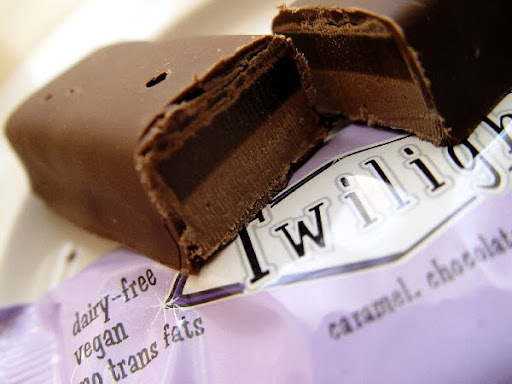 I have never tried a vegan candy bar before, but would love to! The twilight looks like i would like it the most, but a nutella or peanut butter banana one would be my creations. Big fan of vegansaurus and following her on twitter! pick me!! hope i win!! I looove the Maholo. Mrrm coconut. I'd love it if the next one had toffee. 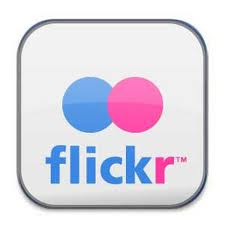 I am also now following Go Max Go on Twittttter. I tweeted about the giveaway...again. 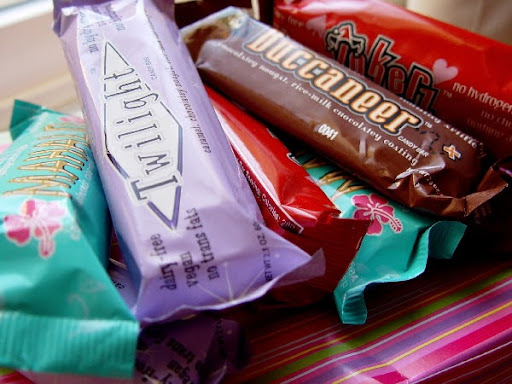 I think I'd like the Twilight as I miss Mars bars! A Crunchie or Kit-Kat style bar... or what's that one with puffed rice in the middle and layer of chocolate around the edge... I remember it coming in an orange wrapper! I follow Veganosauras on Twitter (nikkisikk). I follow Go Max Go on Twitter (nikkisikk). I liked Veganosauras on Facebook (Nikki Qureshi). It would be so cool to win these, I've been wanting to try them for ages but never have enough spare cash to make an order online that makes the postage cost worthwhile and I can't find them locally!